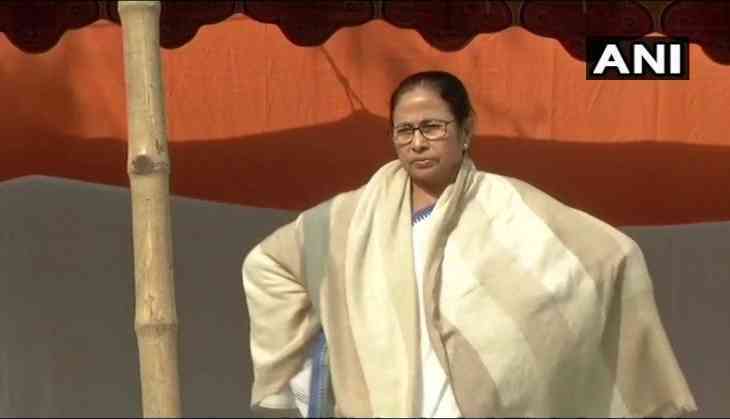 West Bengal Chief Minister Mamata Banerjee is at war with Centre and has staged a Dharna calling it ‘Satyagrah’ after a huge showdown on Sunday evening between the Kolkata police and Central Bureau of Investigation (CBI). On Sunday evening Kolkata cops temporarily detained the CBI officials, who had went to question Kolkata DGP Rajeev Kumar on the two Ponzi schemes. The state police chief Kumar was wanted for questioning in Sharda chit fund case and was said to be reportedly absconding. The TMC Chief accused the Prime Minister and the BJP government at Centre of ‘political vendetta.’ a furious Mamata Banerjee started an overnight dharna to "save the constitution". Following the CBI officials detention, the central agency plans to drag the state government to the Supreme Court. The agency's interim boss, M Nageswara Rao, said that the West Bengal police aren't cooperating, therefore, "we will approach the Supreme Court on Monday". "Did we commit any crime?" Mr Rao asked. As per the sources, the national agency will inform the Supreme Court about the non-cooperation of the Bengal government and its police. The CBI accused Mamata Banerjee government of impeding the investigation of a Supreme Court-ordered probe into Sharda chit fund case. Meanwhile, CM Mamata Banerjee is sitting on ‘dharna’ following the war at the Centre government, accusing it of orchestrating a CBI team’s visit to the Kolkata top cop's home. "The CBI will tell the top court that detention and harassment of its officers carrying out the probe is indicative of the state government's scant regard to the rule of law," sources said.